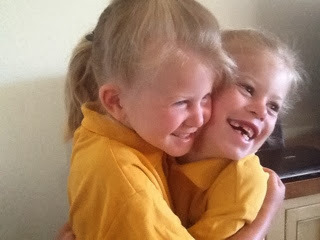 Miss 5 started school yesterday, she was soo excited. Miss 6 played the big sister...too cute! An early night and a sleep in this morning.... Lucky it's a short week. How cute is that! Nothing like a big Sister to ease your first day.